Dr. Susanna Park has lived in Houston most of her life. She has always had a passion for helping and teaching others since she was a child. Dr. Park holds a Bachelor degree from the University of Texas at Austin. 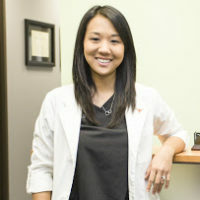 Dr. Park also earned her Doctorate of Chiropractic and another Bachelor of Science degree from Texas Chiropractic College, while graduating second in her class. In our attempt to ensure the highest quality service for you and our Chiropractors we decided upon this process. After filling out the form we call Dr. Susanna Park and then connect you into the call, ensuring you don't end up speaking with an answering machine.